Here's 7 logical reasons why NOT to vote LNP based on protecting the Rule of Law. THE most fundamental thing in our society. Most people understand the Rule of Law exists only when the executive (Queen/GG), the judiciary (judges) & the legislature (Parliament/politicians) don't interfere in each other's business right? So, why does LNP wanna mess with it? The common law system has worked for millennia, yet on several occasions this LNP govt has threatened our very Rule of Law by coming 'perilously close' (quote from @markdreyfusQCMP) to undermining the very system they claim to defend. 1. Try as I might I can’t move on from my ABC #campaigntrail experience. I’m devastated by the ABC’s betrayal of her values. The only way to regain my balance is to tell my truth. I expect not to ever again appear on the ABC but maybe I might help the ABC rediscover its mission. 2. The #campaigntrail producer asked me to appear & I agreed. The first I knew Alan Jones was a guest was when the host tweeted the lineup. I assumed that he’d been told to & agreed to be fact based, as he had been on the #QandA’s I’d seen. I was concerned, but up for it. 3. I was told One Nation would lead the discussion. I assumed, as per ABC guidelines, that Jones or the host would disclose up front that he was a One Nation donor. Didn’t happen. I’m a Catholic, a mother of Catholic school students (now grown), a former Catholic school teacher and a former Catholic youth worker. I’m almost without words reading this report. Almost. Bishop Kennedy has directed the Catholic schools in the Armidale diocese to stop checking that priests have Working With Children Checks. His reason? He says the diocese has already conducted these checks for priests and holds them on file. In short, the Bishop is saying school principals should just trust him that all priests coming into their schools have already been cleared for Working With Children by the diocese. 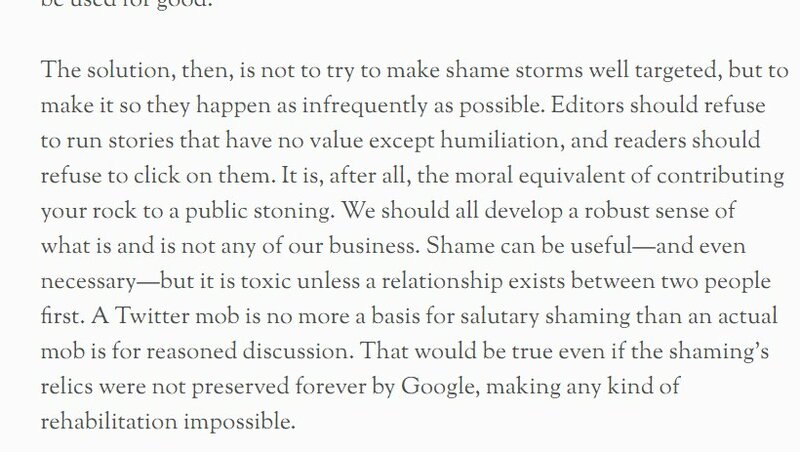 "Editors should refuse to run stories that have no value except humiliation, and readers should refuse to click on them. It is, after all, the moral equivalent of contributing your rock to a public stoning." 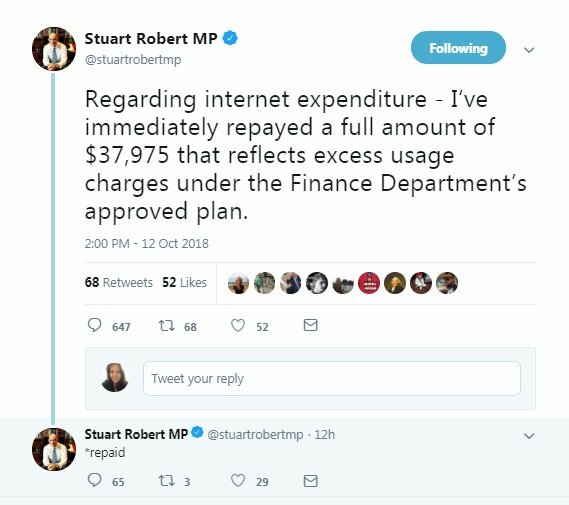 Late yesterday, Friday 12 Oct 2018, Stu said he had repaid $37,975.00 regarding his internet expenditure charged to the taxpayer for home internet. I decided to double-check Stu's figures, because quite frankly, I wouldn't trust Stu as far as I could throw him and I'm not real confident in the Finance Dept either, just quietly @MathiasCormann. Stu was elected in 2007, MP for Fadden, QLD. He assumed office on 24 November 2007. 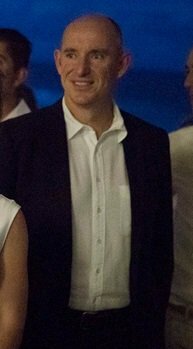 Robert served in both Abbott & Turnbull's Ministries, holding various portfolios including Minister for Human Services. Robert is currently Assistant Treasurer in the Morrison Ministry. Clinton Closet Skulls & Money. Bernie running from it up the stairs. 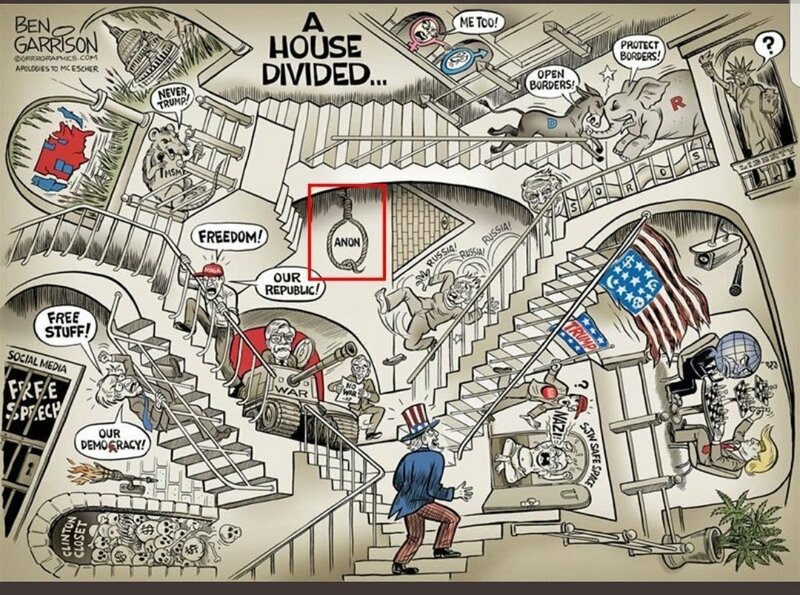 The Pyramid pointed at Soros pushing Hilary down the stairs while she screams Russia all the way down. Social Media Prison locking up #FreeSpeech. #MSM rat yelling "Never Trump!" Woman shouting at the man "Me too." Democrats shouting "Open Borders!" Republicans shouting "Protect Borders!". Liberty saying "?". @realDonaldTrump playing 5d chess with the Globalists. #SJW Safe space a closet to cry in (This is real in some Universities) screaming "NAZI!" at a Trump Supporter. Bolton in the tank that says war. Mike Pence with a sign saying "No War." Maga Hat Wearer Shouting "Freedom" to Bernie's "Free Stuff". Saturday Q & A with #QAnon. Time TBD. Drop your Questions here #QArmy! @LibertyLasting has come up with some great #Questions for #Q. Not sure if we can have five minutes for five minimum. We got to make sure they’re good! #QAlert Post 1587 Q reschedules #Q and A for Saturday.